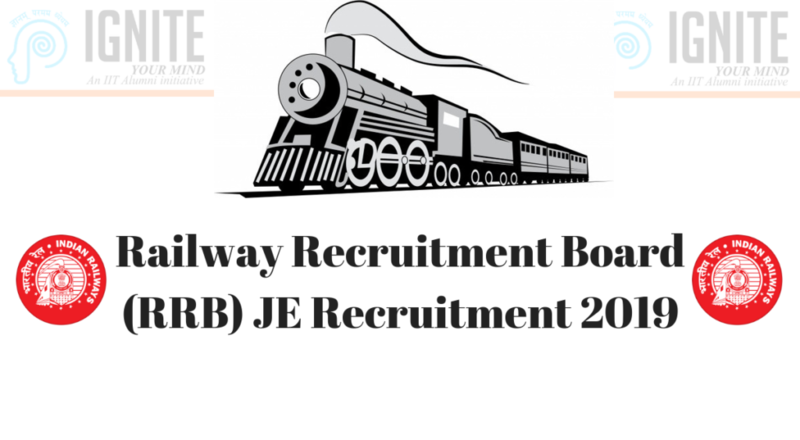 Government of India’s Railway Recruitment Board has announced yet another golden opportunity to candidates to fulfill their dream of joining the prestigious Government Sector with the RRB Junior Engineer(JE) 2019 Recruitment. RRB has introduced 13,487 vacancies for Railway JE Recruitment 2019 Exam with initial pay of Rs. 35400, plus other allowances admissible at that time for the selected candidates. This highly competitive exam will surely be witnessing lakhs of candidates. This year, the exam is going to be conducted tentatively in April/May 2019. With the exam being just a few months away, it is time for the candidates planning to appear for the exam to pull up their socks and start their RRB JE preparation at the best coaching centre for RRB JE possible. RRB JE exam has 2 stages of Computer Based Test. Applicants are required to work hard to get a good score in the exam. The exact exam dates for Railway JE 2019 Exam has not been released yet. However, its expected to be conducted in April/May 2019. Let’s have a look at the important dates to keep in mind for the RRB JE 2019 Exam. Only single online application for all the notified posts in the opted RRB has to be submitted by the candidate through the link provided on the official website of RRBs. The complete recruitment process will involve, 1st stage Computer Based Test (CBT), 2nd stage CBT, and Document Verification/ Medical Examination as applicable. The normalized score of 1st stage exam will be used only for short listing of candidates for 2nd stage exam as per their merit. Questions will be of objective type with multiple answer choices. Number systems, Decimals, BODMAS, Fractions, Ratio and Proportion, LCM and HCF, Percentages, Mensuration, Time and Work, Time and Distance, Simple and Compound Interest, Profit and Loss, Algebra, Geometry, Trigonometry, Square Root, Elementary Statistics, Age Calculations, Calendar & Clock, Pipes & Cistern. Analogies, Coding and Decoding, Alphabetical and Number Series, Mathematical operations, Syllogism, Relationships, Jumbling, Data Interpretation and Sufficiency, Venn Diagram, Conclusions and Decision Making, Analytical reasoning, Similarities and Differences, Classification, Directions, Statement Arguments and Assumptions etc. The General Science section requires you to have a great command over subjects like Physics, Chemistry, and Life Sciences (Biology, and Zoology). But don’t worry as this section is based on the high school level Science syllabus, i.e. up to 10th Standard CBSE syllabus. Knowledge of Current Affairs, culture and history of India including freedom struggle, Indian geography, Indian Polity and constitution, Environmental issues concerning India and the World, Indian Economy, Sports, General scientific and technological developments etc. Knowledge of Current affairs, Indian Polity and constitution, Indian geography, culture and history of India including freedom struggle, Indian Economy, Sports, General scientific and technological developments, Environmental issues concerning India and the World, etc. Architecture of Computers; Storage devices, Networking, Input and Output devices; Operating System like Windows, Unix, Linux; MS Office; Internet and Email; Various data representation; Websites & Web Browsers; Computer Virus. Basics of Environment; Air, water and Noise pollution, their effect and control; Adverse effect of environmental pollution and control strategies; Waste Management, Global warming; Ozone depletion; Acid rain. The Technical Abilities subjects for RRB JE is different for different engineering branches – Electronic Engineering, Electrical Engineering, Computer Engineering, Civil Engineering, Instrumentation and Measurement Engineering, Information Technology, Mechanical Engineering, Chemical Engineering, and Printing Press. Since the preparation will be different for different branches, its best to look for a good training institute that offers targeted coaching for your particular technical field along with the best RRB JE coaching. The teaching faculty includes highly qualified and experienced teachers, who with their simple and lucid methods and conceptual short cut tricks and techniques help the students to solve a maximum number of questions within the least possible amount of time and hence they not only get selected but also secure topmost positions.